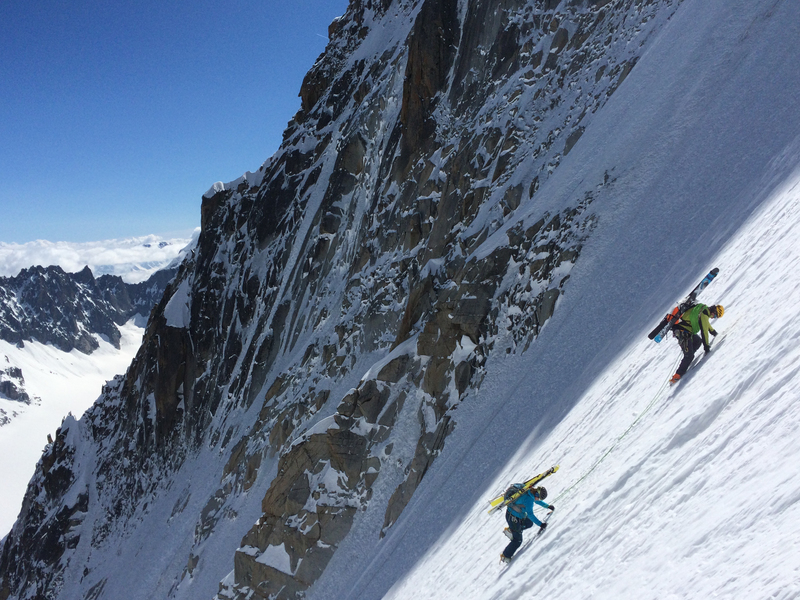 Fun day out yesterday on the Aiguille Verte’s Couturier couloir. Harder going than I thought it would be. 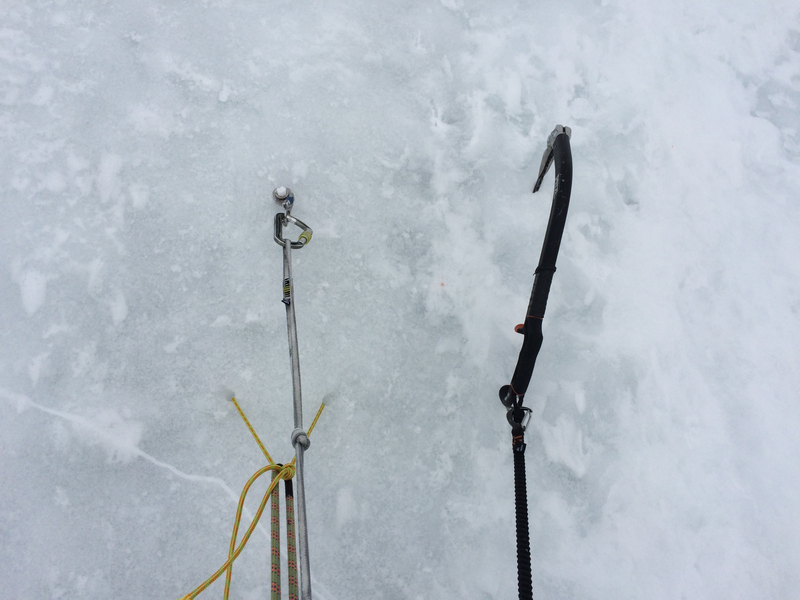 Though technically easy, 1000m of 50-55 degree snow and ice takes its toll. 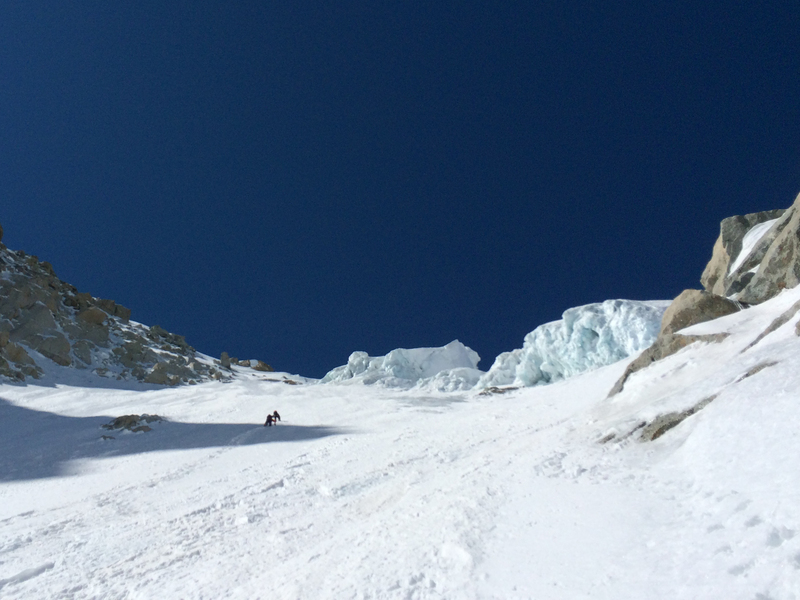 Descended by the same route to try and get in some downclimbing and v-threading practise, an idea that seemed far less appealing once I reached the summit! 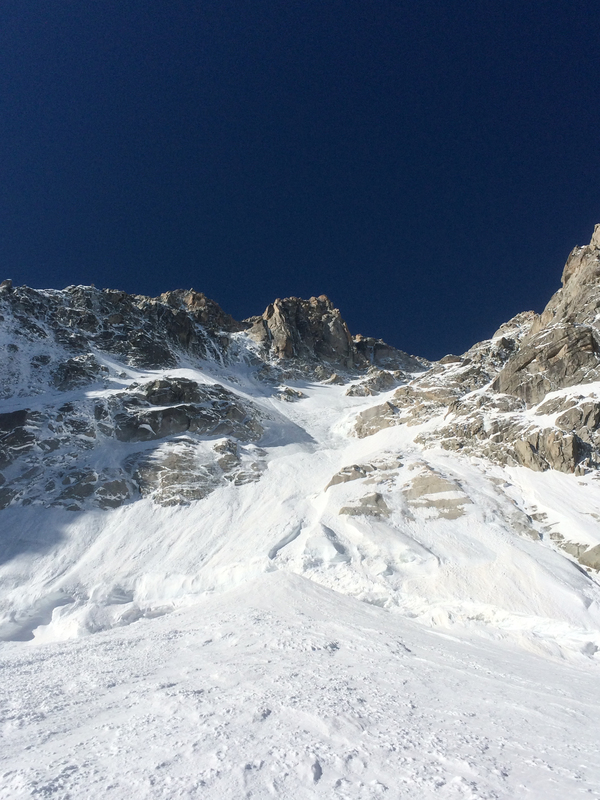 The seracs at the top of the couloir continue to grow… Hopefully they’ll remain stable. 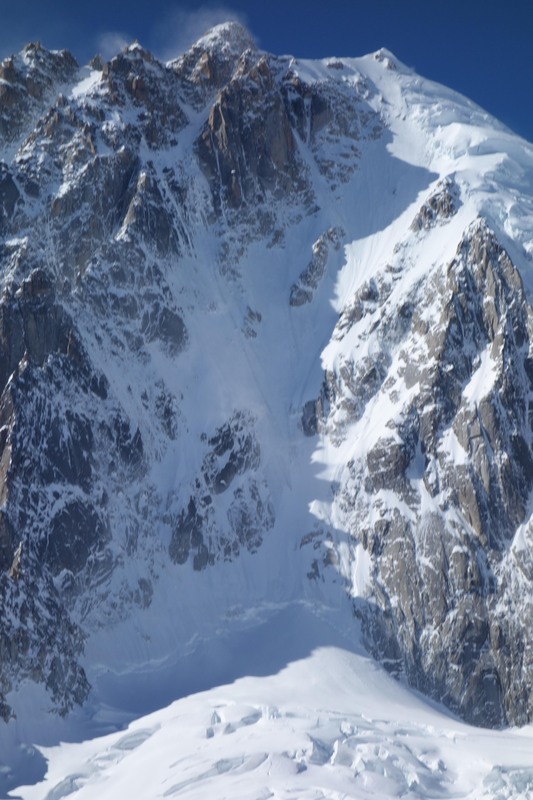 Would be a shame to see the couloir become objectively dangerous. 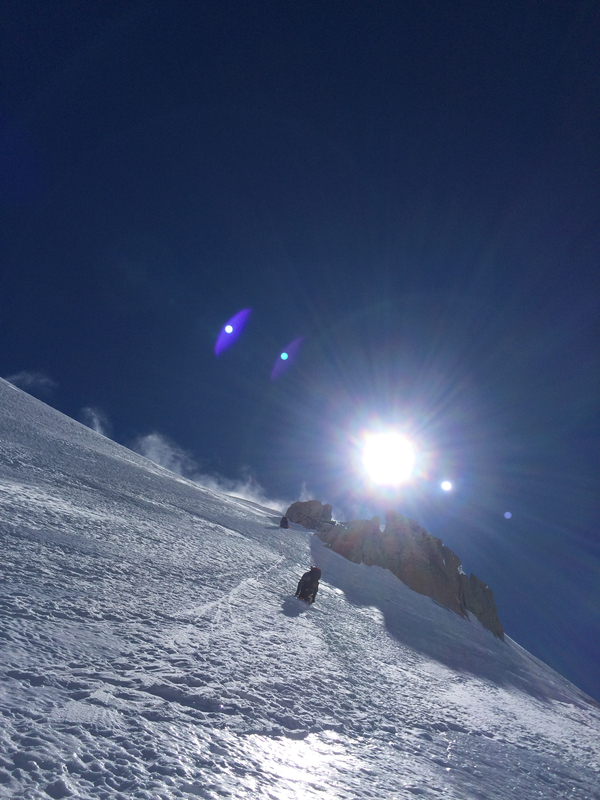 After a 1000m of ascent, just a few more metres until the summit. 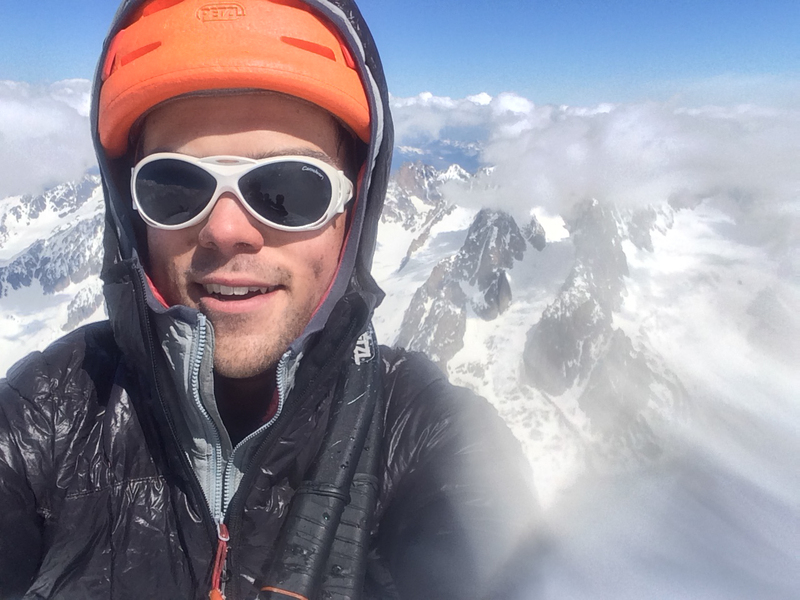 Obligatory summit selfie. 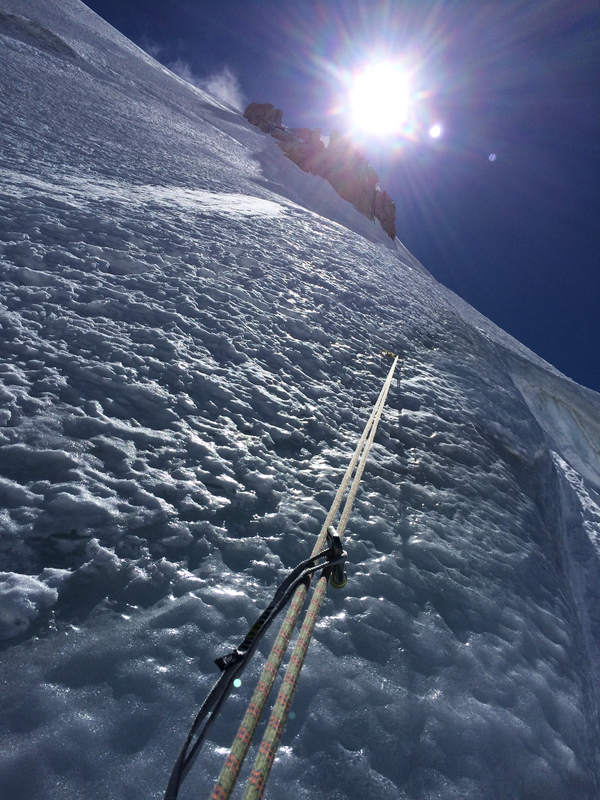 Je suis un vrai alpiniste maintenant! The first of 5 rappels. 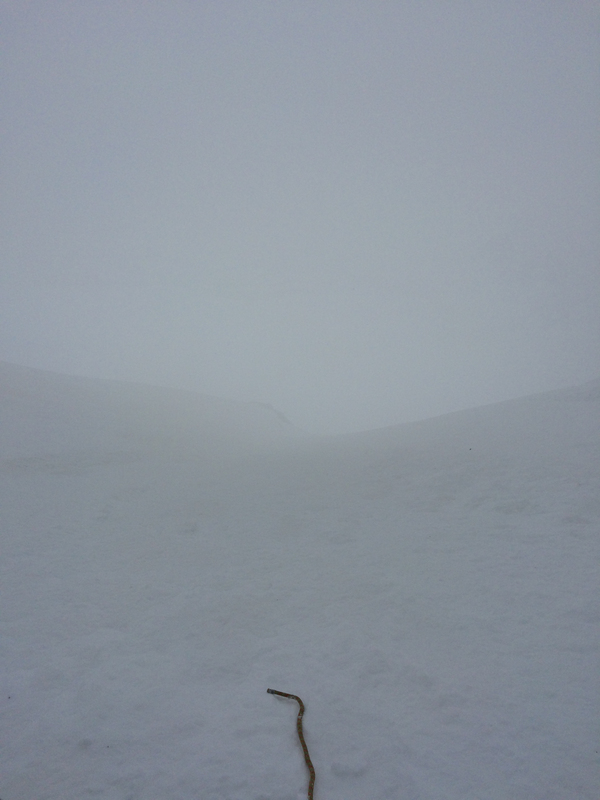 Nicht good skiing conditions near the summit. Near the bottom and the cloud comes in, the snow starts falling and the sluff starts flowing. 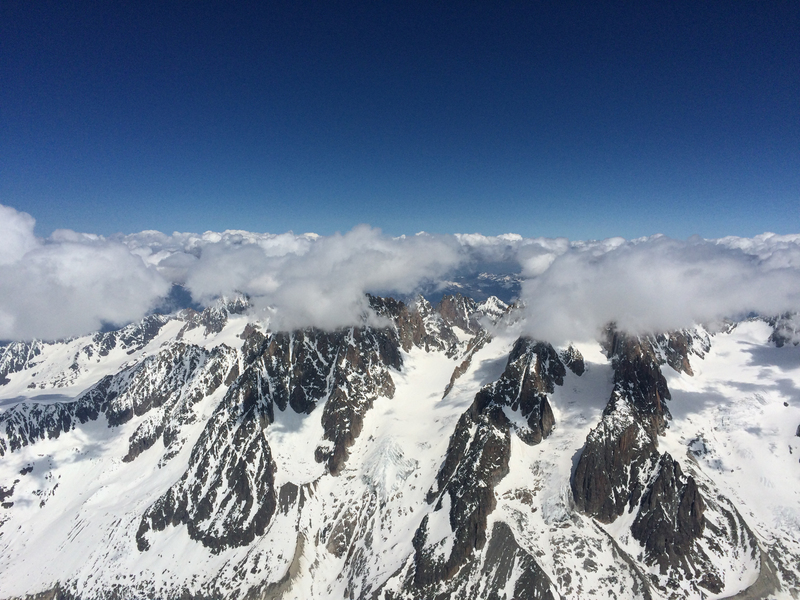 2 hours later I’ll be having beer and pizza – Chamonix alpinism at its best!